Yellow Pine Treated is known for being an economical choice that holds up very well to the exterior elements. 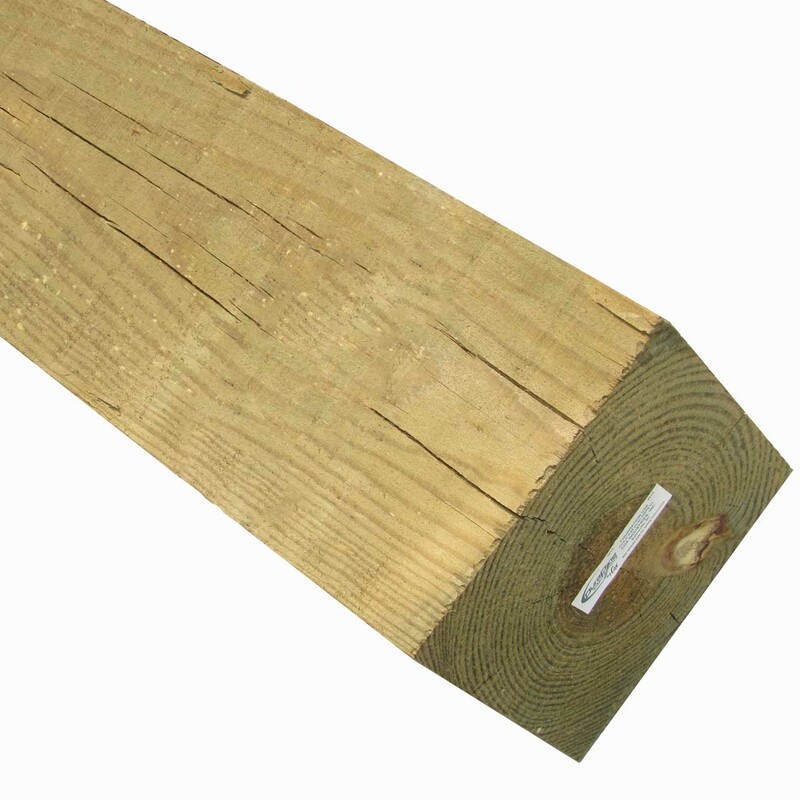 Yellow pine treated boards are ideal for exterior projects like playground equipment, decking, fencing, exterior furniture and rose arbors to name just a few. Our treated boards come from Culpeper Wood Preservers and are treated with Wolman® disbursed copper azole with BARamine. This is a non-arsenic treatment that protects against both termites and fungal decay. The disbursed copper azole treatment with BARamine is not as corrosive to hardware, but a coated or hot-dipped galvanized hardware is recommended for exterior use. 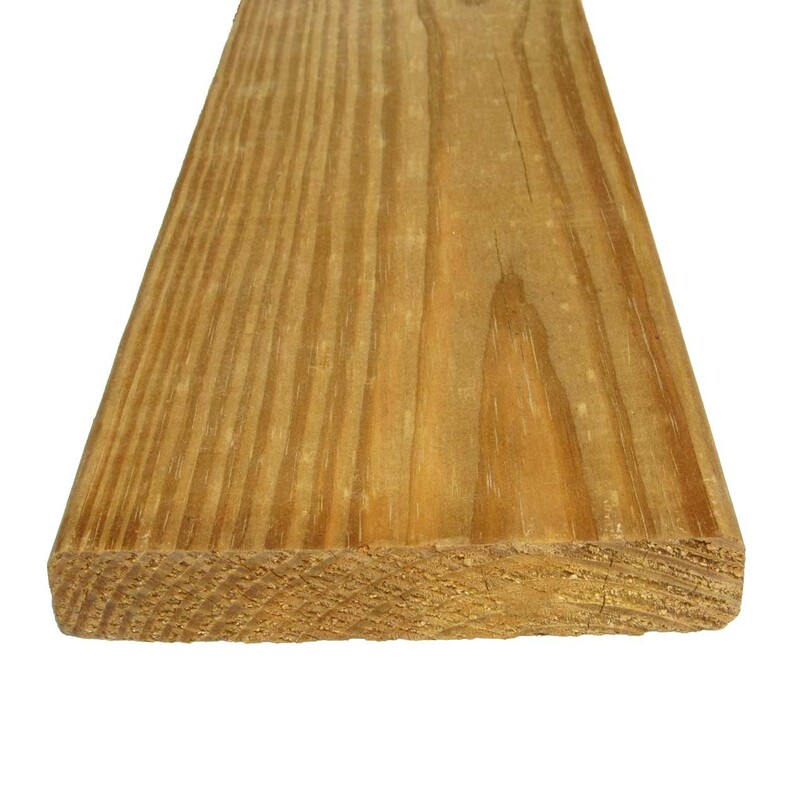 This wood has an initial greenish tent, but will age to a honey brown color which can last for an extended period before slowly fading to gray. TIER DECK PACKAGE – We provide discounted tier pricing on all treated lumber orders starting at 50+ boards. 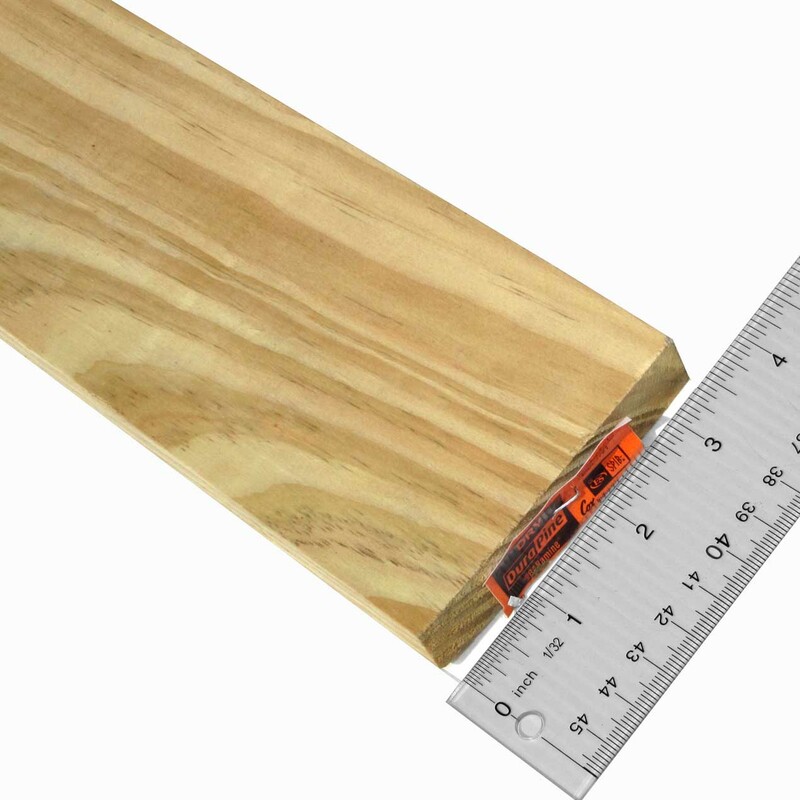 This is a family pack, meaning the treated boards can be of various sizes and lengths to qualify for this discounted pricing.